If you're nuts about everything beef, then Fat Cow would be your beef heaven. They really do live up to their name and serve lots of Fat Wagyu Cows, which happens to be my favorite kind of animal! After savoring the Wagyu no Kakuni during the FijiWater Signature expedition some time back (read about it here), I knew I had to feed my beefy addiction. There have been mixed reviews on the restaurant and one thing I heard was that the food doesn't justify the price. However, with the downward revision of the already affordable lunch sets, I don't think anyone would be deterred from checking FC out. 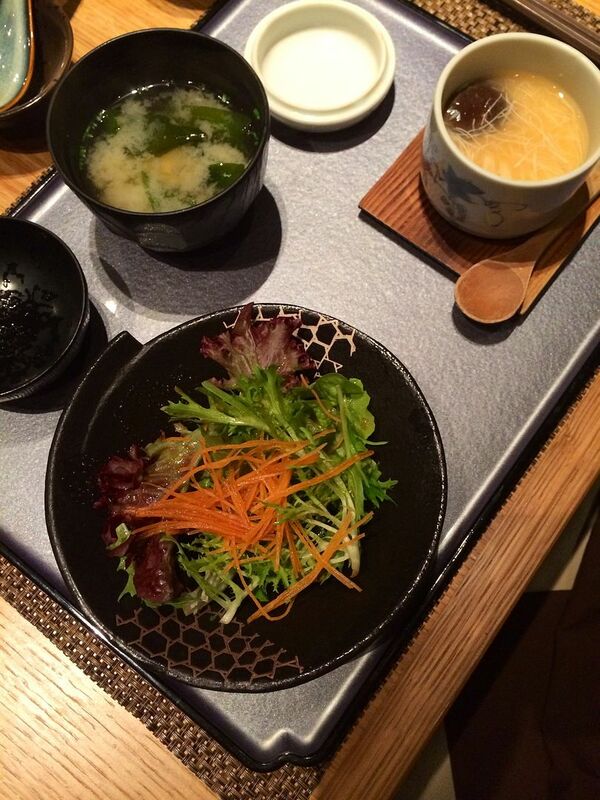 Each set comes with salad, chawanmushi, miso soup and dessert with your choice of mains. 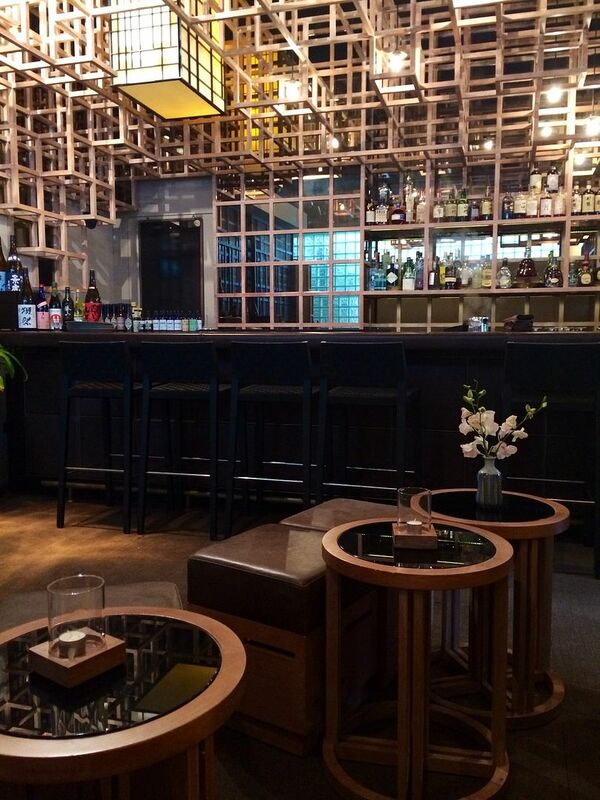 Pick from the 12 mains which are priced from $25 to $48. 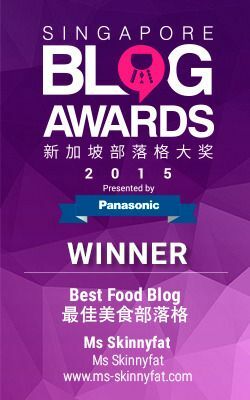 Don't worry if you're not a beef fan, there are sashimi, pork and chicken on the menu too. 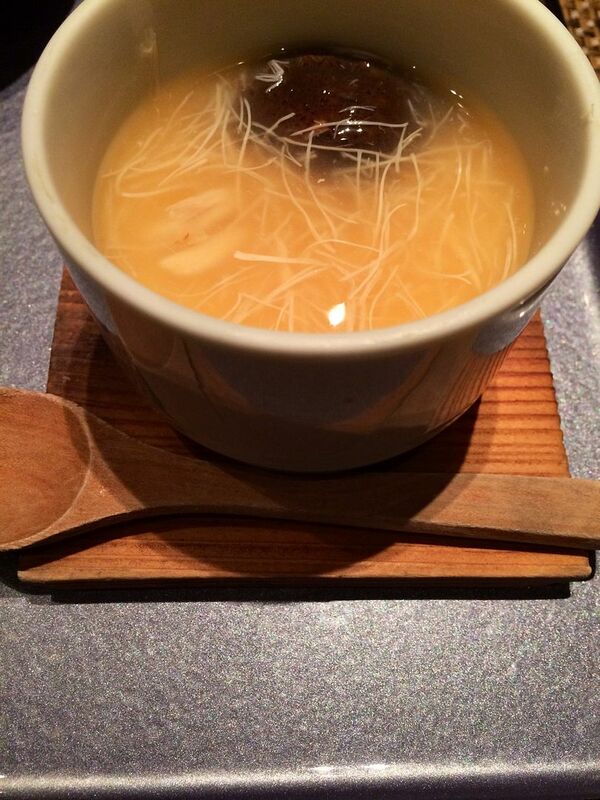 The chawanmushi was topped with a light tasting crab sauce and it has prawn, mushroom and scallop in it. 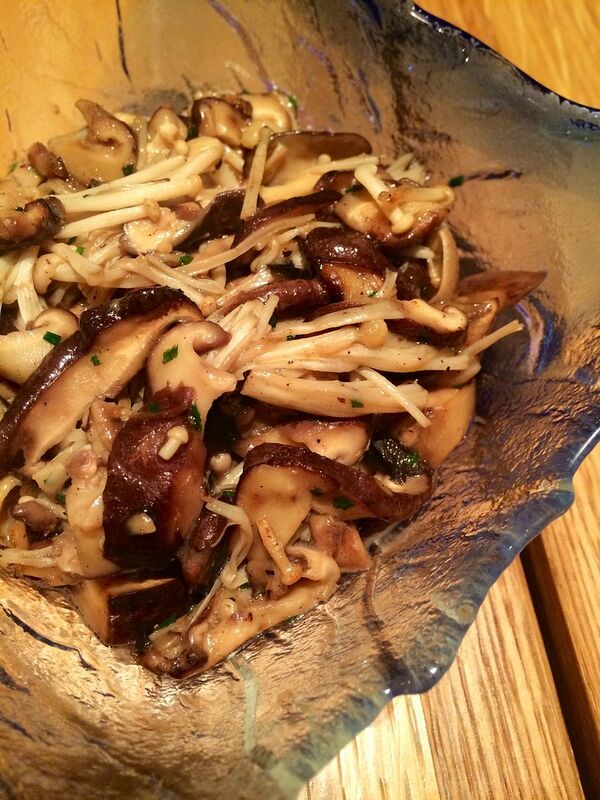 We ordered the Kinoko ($14), assorted Japanese mushrooms braised with sake, lime and butter. 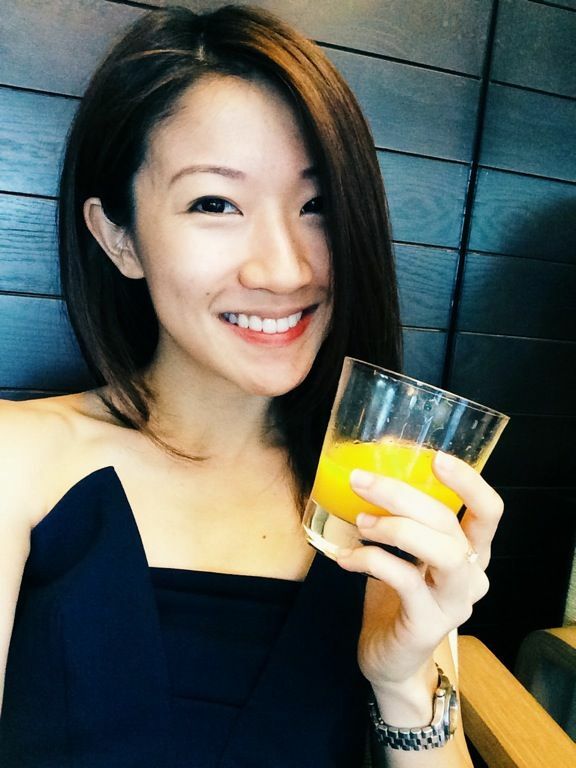 Honestly, it tasted like normal stir fry with a tinge of lime. A disappointment really. And it was a rather small portion. 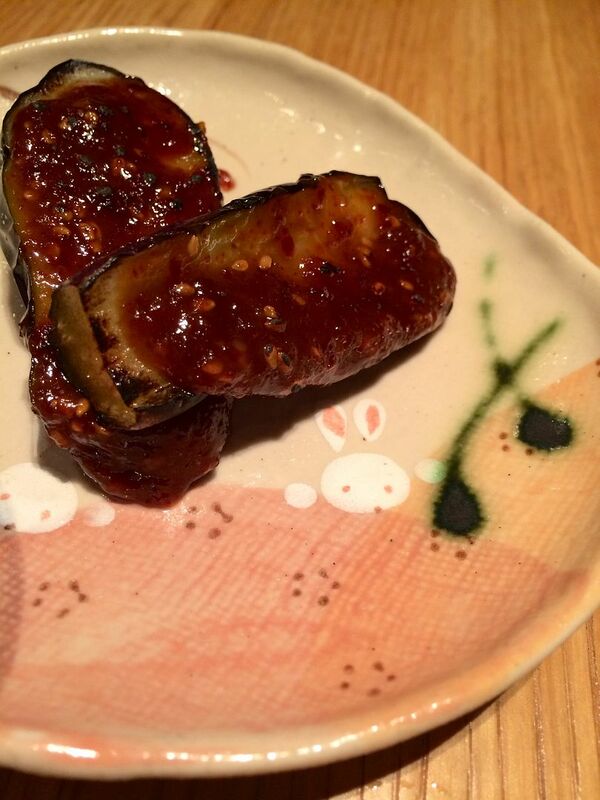 We also tried the Nasu Dengaku ($10), barbecued eggplant glazed with honey miso. This is a tiny baby Japanese eggplant and it certainly isn't worth the price tag. There was a plum undertone in the salty miso which didn't sit well with the girls. We had the 2 hot favorites at Fat Cow, which is the Fat Foa-Gura Don ($42) and The Fat Cow Donburi ($38). It was a tussle between the 2 choices but here's the flavor profiles so that you can decide for yourself! 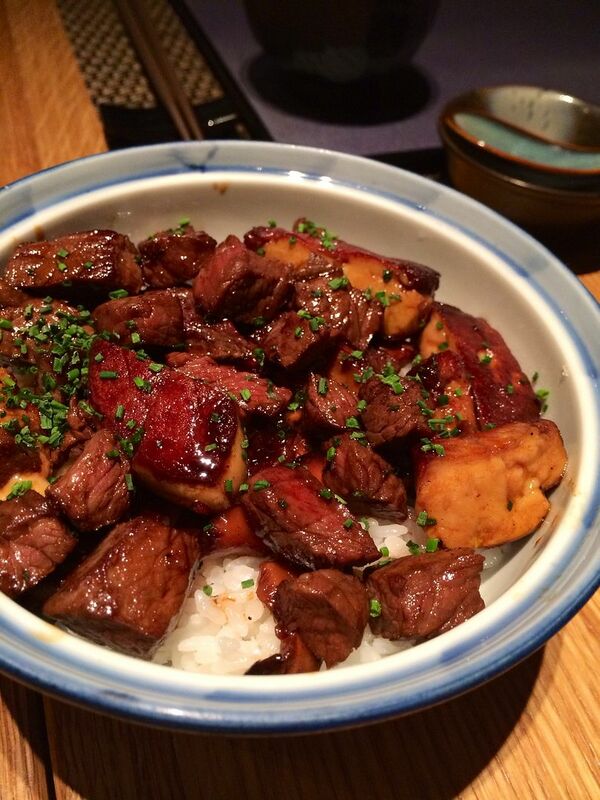 The Fat Foa-Gura Don has the rich and buttery glazed foie gras chunks and grilled wagyu beef cubes. The sauce was a little on the sweet side but the overall flavor is strong and heavy. I liked the toppings on this one but i found the rice to be a little on the dry side and it acted like a sponge, soaking up all the oil from the goose liver.. 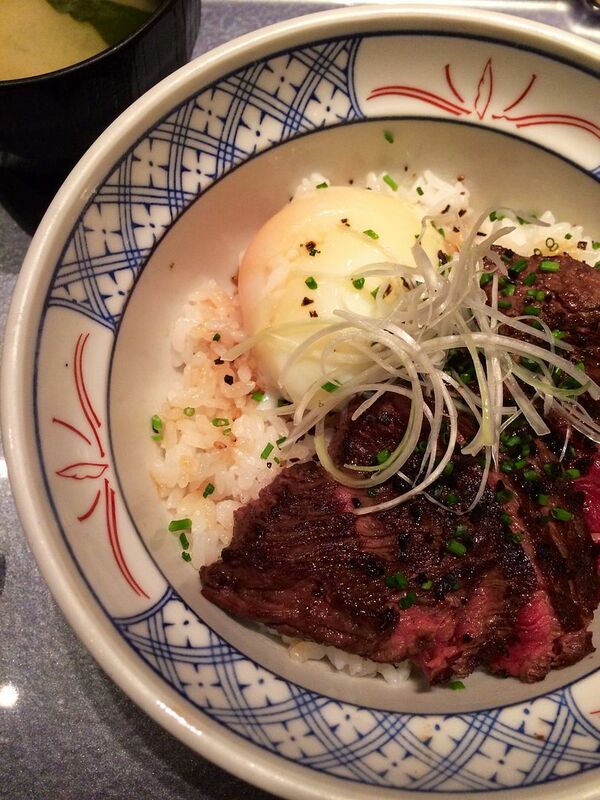 The Fat Cow Donburi is a simpler dish in comparison but it has its own merits. 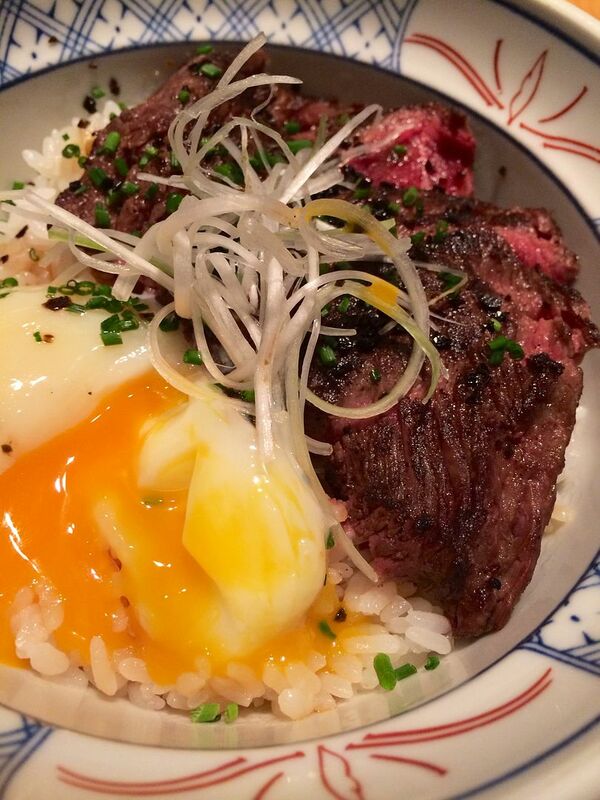 Charcoal grilled Wagyu Beef with a light garlic flavor, with onsen egg and shiro negi. The first thing we noticed about the dish was its truffle aroma. Break the egg and mix everything together and enjoy the moist and flavorful rice. Absolutely delicious. Dessert was a scoop of ice cream. 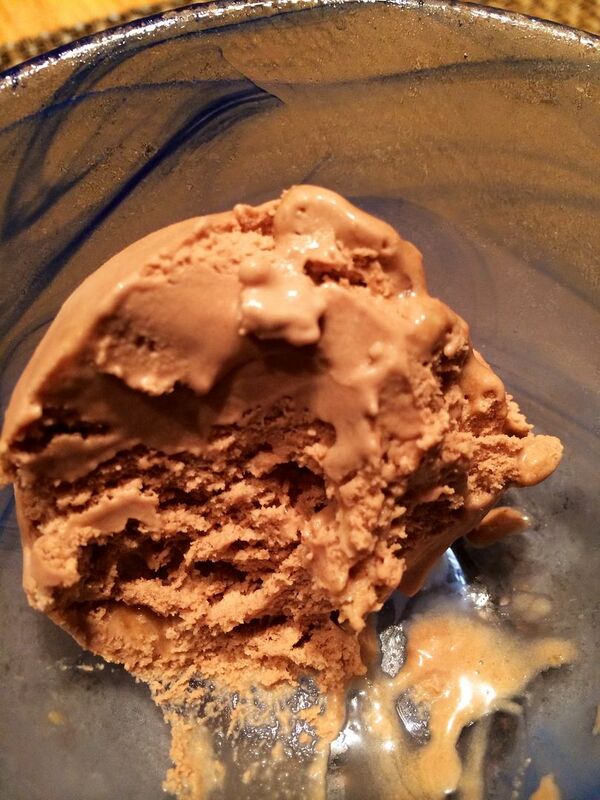 Even though chocolate ice cream sounds boring, the texture of this ice cream was smooth and milky. There were nutty bits in it as well. Quite a good ending to the meal. If you want to enjoy a great beef bowl without breaking the bank, i'm all for Fat Cow.